1. Most importantly, check your math. 2. Double-check that your Social Security number has been correctly written on the return. If you are married, check that your spouse's Social Security number is properly listed, whether filing a joint or separate return. 3. Include your social security number on each page of the return so that if a page is misplaced by the IRS, it can be reattached. 4. Check that you have claimed all of your dependents, such as elderly parents who may not live with you. 5. 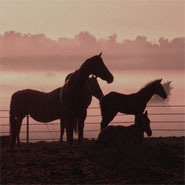 Include on the return the Social Security numbers for all dependents including those born during the current tax year. 6. If you are single and have a dependent who lives with you, check to see if you qualify for the lower tax rates available to a head of household or surviving spouse. 7. You may be eligible for the earned income credit if you do NOT file as married filing separately. 8. If you are married, check to see if filing separate returns rather than a joint return is more beneficial. 9. Attach all copy Bs of your W-2 forms to your return in order to avoid correspondence with the IRS. If you received a Form 1099-R showing Federal income tax withheld, attach copy B of that form as well. 10. You may be eligible to claim the additional standard deductions if you are blind or 65 years of age or older. 12. Be sure that your Form W-2 and all Form 1099s are correct. If they're wrong, have them corrected as soon as possible so that the IRS's records agree with the amounts you show on your return. 13. If you worked for more than one employer, be sure to claim a credit for any overpaid Social Security taxes withheld from your wages. 14. If you received a state tax refund or a refund of interest you paid on a mortgage in an earlier year, make sure you have not included too much of your refund in your income. These refunds may not be taxable if you did not get a tax benefit from deducting them. If, for example, you used the standard deduction in the year in which the taxes or interest were paid, you do not have to include the refund in income this year. 15. Deductible real property taxes should be distinguished from assessments paid for local benefits, such as repair of streets, sidewalks, sewers, curbs, gutters, and other improvements that tend to benefit specific properties. Assessments of this type generally are not deductible. 16. Make sure to sign and date your return and enter your occupation. If you are filing a joint return, be sure that your spouse also signs as required. 17. Only a portion of your Social Security benefits may be taxable. If your income does not exceed a certain amount, none of it may be taxable. 18. Check last year's tax return to see if there are any items that carry over to this year, such as charitable contributions or capital losses that exceeded the amount you were previously able to deduct. 19. If you can be claimed as a dependent on someone else's return, do not claim a personal exemption on your return. Your deduction may be limited as well. 20. Fill out Form 8606, Nondeductible IRA Contributions, for your contributions to an IRA account, even if you don't claim any deduction for the contribution. 21. Recheck your basis in the securities that you sold during the year, particularly shares of a mutual fund. Income and capital gains dividends that were automatically reinvested in the fund over the years increase your basis in the mutual fund and thus reduce a gain or increase a loss that you have to report. Also any "front end" or purchase fees are still considered part of your cost basis for tax purposes, even though they reduce your investment in a mutual fund. 22. Recheck that you have used the correct column in the Tax Rate Table or the right Tax Rate Schedule for your filing status. 23. Don't miss deadlines: December 31-set up a Keogh plan; April 15–make your IRA contribution; April 15– file your return or request an extension. Check the tax calendar periodically. 24. If you regularly get large refunds, you're having too much withheld and, in effect, giving an interest-free loan to the IRS. Changing the number of allowances you claim on your W-4 form will increase your take-home pay. 25. Keep copies of all documents that you send to the IRS. Use certified mail for all important correspondence to the IRS. 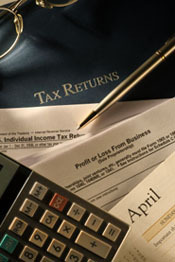 Don't forget to keep your records in good shape so that you can find answers to any IRS questions about your return.